I’d love to help you build personalized and customized meal plans in minutes, so you’ll have the perfect set of meals in your freezer. 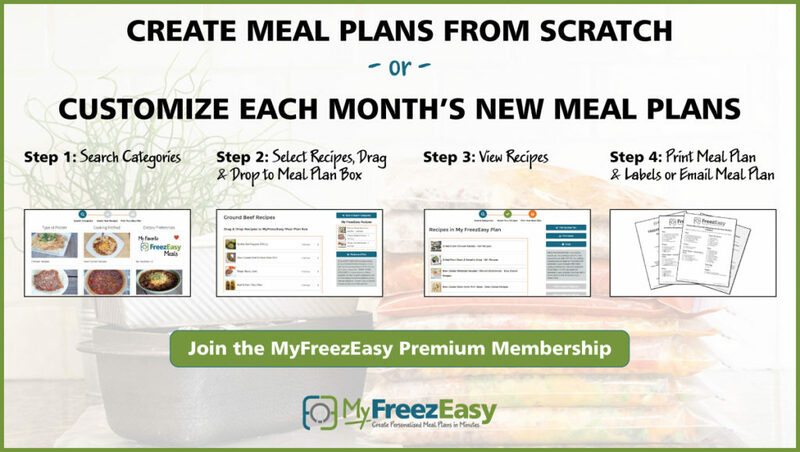 The new meal plan builder tool is now available and with it, you can create or personalize our freezer meal plans so they are perfect for you and your family’s taste preferences and food restrictions. This amazing new resource is a web based application that works on your desktop or laptop computer. Mobile and tablet apps are available for our members. If you’d like to join the Premium membership, you have the option to choose from the monthly plan, quarterly or the annual subscription. Free Months : 3+ Months Free! !